A new time lapse bunny tattoo video from my folk art coloring book series. Inspired by the love of Watership Down. Thanks for looking! A time lapse video of a folk art snake I made for my coloring book project. Thanks for watching! My newest time lapse video for my folk art tattoo coloring book project.I've got more on the way soon, and am very close to my goal of having 10 to submit for my coloring book proposal this month. I've also got a new HD video camera, and am experimenting with it for the videos of the inking of the finished book pages.If you've missed any of the videos so far, there's a playlist on YouTube with all of them together you can kick back and enjoy back to back. Thanks for watching. Folk art tattoo: Bees Knees! A new folk art tattoo design, a cute chubby bumblebee. I am excited to be getting these out there, and learning lots about the video process. Once the tattoos are all done at the end of the month, I'll be making more time lapse videos inking the finished coloring book page concepts. Hopefully these will be exciting to watch (and convincing to publishers to make a folk art tattoo coloring book out of)! Thanks again to everyone for your support, and helping spread the word on this project. This is the last design I'm offering for my Folk Art Tattoo Coloring Book project proposal. 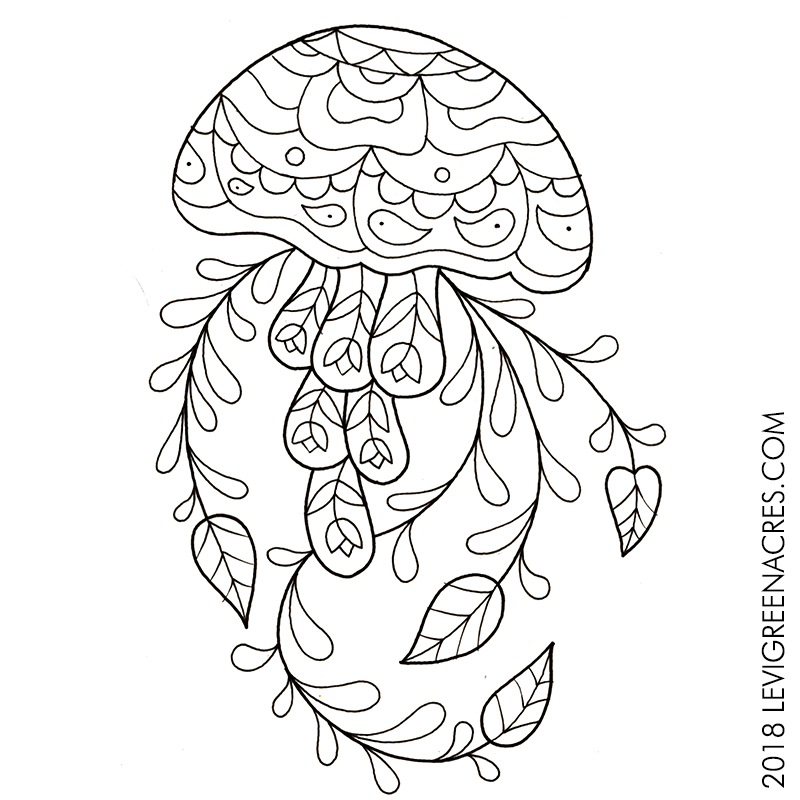 I'm starting to work on the finished coloring book pages with these illustrations at their center, which, with the finished videos of these concepts as tattoos, I'm starting to shop around next month to publishers. Thanks to everyone who's gotten one of these pieces so far, and for the encouragement and suggestions for new creatures to draw. With all of your support, this project has been a blast to work on so far, and I look forward to putting together a great book. Two new designs for my folk art tattoo coloring book project! The rooster is still available, let me know if you want it! Another time lapse video in my series of folk art animals for my tattoo coloring book project. I'm going to start shopping the idea around next month, so let me know if you'd like one of these! My first video in my Folk Art Animals Coloring Book project, from drawing to finished tattoo. My goal is to complete 10 of these to help a publisher get interested in putting out a whole book devoted to designs in this style. I am grateful to have several of these in the works so far, thanks to the generosity of some kind people who volunteer their skins (and knowledge of video editing!). There are still several designs available, and one or two spots open for suggestion on animals you'd like to see and wear. Thanks to Tuesday, who came in for this piece, and to all of you for your continued sharing and support of my work.